The new Bias Response Program has three themes: community engagement and education; campus resources; and referral to appropriate campus units for possible review and possible disciplinary action. 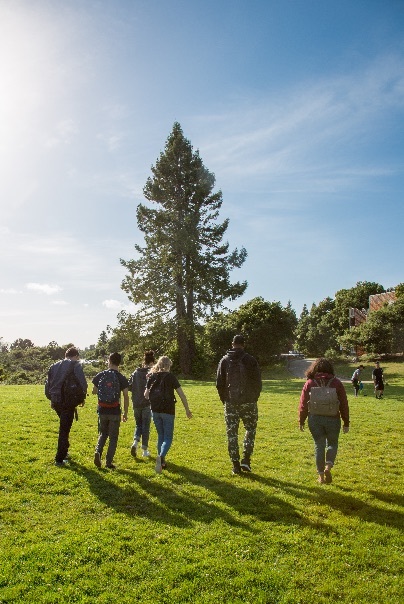 Members of the UC Santa Cruz community have been encouraged for several years to report hurtful acts expressing hostility or bias on the basis of race, sexual orientation, gender, disability, place of origin, religion, and more, on the Report Hate website. Now, this online reporting tool is expanding to become one of the first programs of its kind to take such a proactive and comprehensive approach to hate and bias incidents. Students will be encouraged to report possible hate crimes directly to the UC Santa Cruz Police Department, and the Bias Response Team will be the first responder to bias-related incidents. Intentional collaboration forms the backbone of the Bias Response Program, said Sheree Marlowe, UC Santa Cruz campus diversity officer, who is leading the effort through the Office for Diversity, Equity and Inclusion (ODEI). The responses to these incidents should vary depending on the circumstances, she said, from private consultation to outreach with campus partners to possible disciplinary action. Expanding with the program is the community response team that’s being created to reach out to students to provide education, support, and appropriate services. There’s also an effort to make a direct connection to the new Restorative Justice Program led by Vicki Duval, from Colleges, Housing and Educational Services. Sometimes when students report incidents, Marlowe said, they just want to be heard and to notify the campus that such incidents are taking place in our community. In those cases, reports will be taken just as they always have. In cases where broader engagement is needed, more people will be brought in to respond directly to the confidential report. How can an assault be elevated to a hate crime? In one example, Marlowe said, if an individual hits a student, that may be a crime of assault, but if that individual hits a student and uses a racial slur at the same time, it may be elevated to a hate crime because the incident targeted a protected class based on race. As she works to develop the program this spring, Marlowe emphasizes the importance of taking the time to educate and engage the community.